Gone to See Europe and North Africa. Semester at Sea Spring 2013 Enrichment Voyage on the MV Explorer. Ultimate Travel Photography Workshop IV with Michael Mariant. Day 10: Casablanca, Marrakech, and Atlas Mountains in Morocco. 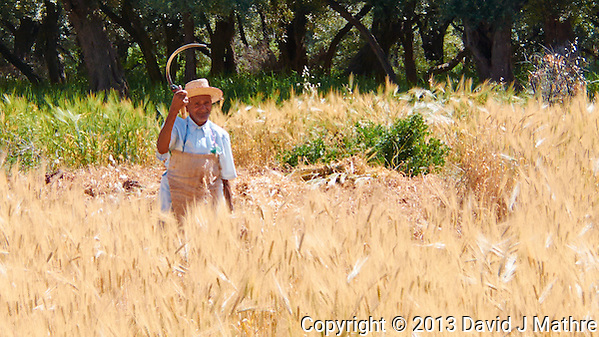 Berber farmer reaping golden wheat in the Atlas Mountains of Morocco. Great field of grain! Thanks for sharing with +Grass Tuesday ! !